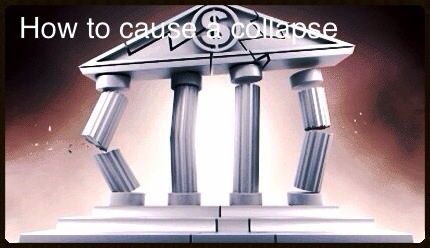 The financial crisis and the collapse of many corporates is blamed on ‘greed’ of corporate America. It’s a feature NOT definitely limited to America but followed in every country in the world, but more rampant in the under developed countries. The compensation and incentives of boards and senior executives were not linked to long term interest of the company. This behaviour led to regulators insisting on board committees having to take more responsibilities in evaluating remuneration/compensation related proposals by management. # a compensation committee’s consideration of certain relevant factors in selecting a compensation adviser. Fraud & corruption in many circumstances are part of a culture that’s only focused on performance- at any cost. If remuneration policies also support such behaviour, then the boards who set such tone at the top should be held responsible. Therefore, it is important to develop and disclose a remuneration policy statement covering board members and key executives. Such a policy should specify the relationship between remuneration and performance, and include measurable standards that emphasise the longer term interests of the company. Rewarding short term interests and excessive risk taking should not be encouraged by such policies.  The governance of remuneration/incentive systems has often failed because negotiations and decisions are not carried out at arm’s length. Managers and others have had too much influence over the level and conditions for performance based remuneration with boards unable or incapable of exercising objective, independent judgement.  In many cases it is striking how the link between performance and remuneration is very weak or difficult to establish. The use of company stock price as a single measure for example, does not allow to benchmark firm specific performance against an industry or market average.  Remuneration schemes are often overly complicated or obscure in ways that camouflage conditions and consequences. They also tend to be asymmetric with limited downside risk thereby encouraging excessive risk taking.  Transparency needs to be improved beyond disclosure. Corporations should be able to explain the main characteristics of their performance related remuneration programs in concise and non-technical terms. This should include the total cost of the program; performance criteria and; how the remuneration is adjusted for related risks.  The goal needs to be remuneration/incentive systems that encourage long term performance and this will require instruments to reward executives once the performance has been realised (i.e. ex-post accountability).  Defining the structure of remuneration/incentive schemes is a key aspect of corporate governance and companies need flexibility to adjust systems to their own circumstances. Such schemes are complex and the use of legal limits such as caps should be limited to specific and temporary circumstances.  Steps must be taken to ensure that remuneration is established through an explicit governance process where the roles and responsibilities of those involved, including consultants, and risk managers, are clearly defined and separated. It should be considered good practice to give a significant role to non-executive independent board members in the process.  In order to increase awareness and attention, it should be considered good practice that remuneration policies are submitted to the annual meeting and as appropriate subject to shareholder approval.  Financial institutions are advised to follow the Principles for Sound Compensation Practices issued by the Financial Stability Forum that can be seen as further elaboration of the OECD principles. This entry was posted in Governance and tagged Remuneration committee. Bookmark the permalink.